The Abduction from the Seraglio, Lucia di Lammermoor and the KC Premiere of The Shining. KC-Built La bohème completes this extraordinary season of the traditional and the adventuresome. Kansas City, MO (February 11, 2019) – Lyric Opera of Kansas City General Director and CEO Deborah Sandler today announced its 2019-2020 season. The season includes four mainstage productions at the Kauffman Center for the Performing Arts, including spectacular productions of The Abduction from the Seraglio and Lucia di Lammermoor that are new to Kansas City, a beloved production of La bohème that was built right here by Lyric Opera, and the KANSAS CITY PREMIERE of The Shining. All performances will be accompanied by members of the Kansas City Symphony Orchestra. High res photos can be found here. The season begins with the Kansas City operatic debut of Prairie Village native, Ben Bliss. Singing the role of Belmonte in Mozart’s The Abduction from the Seraglio—which he performed previously at The Metropolitan Opera—Bliss is quickly making his mark in the operatic world. This recently-created production transplants Mozart’s melodies to 1930s Hollywood, the perfect setting for this uproarious comedy. Puccini’s tender, beautiful tragedy remains the opera that makes people fall in love with our art form. Lyric Opera’s November 2019 performances of La bohème mark the returns of two singers that made remarkable debuts in the past two seasons: Lawrence, KS native Raquel González (Tatyana in Eugene Onegin, 2017) as Mimì, and Georgy Vasiliev (Pinkerton in Madama Butterfly, 2018) as Rodolfo. 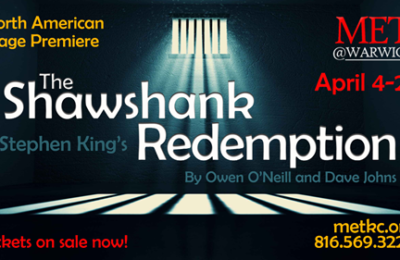 The Bohemians who struggle to survive―and love―will beguile you in this traditional production. Lyric Opera brings out the vocal fireworks in Lucia di Lammermoor, the bravura bel canto work based on The Bride of Lammermoor by Sir Walter Scott. The tragic love affair between young Lucia and her family’s enemy, Edgardo, comes to life in a dark and arresting production that is new to Kansas City. Notable debuts include Sarah Coburn as Lucia and up-and-coming director Shawna Lucey. The haunting story of the Torrance family’s winter at the Overlook Hotel reaches more frightening depths than ever before, through opera. Lyric Opera will be the first company to produce this work since its world premiere at Minnesota Opera in 2016, which attracted record audiences. The opera’s vocal thrills, combined with awe-inspiring visual effects, will make The Shining an unforgettable experience for Kansas City. The 2019-2020 Lyric Opera of Kansas City season is sponsored by the Richard J. Stern Foundation for the Arts and the Muriel McBrien Kauffman Foundation. Saturday, September 21, 2019 at 7:30 p.m.
Wednesday, September 25, 2019 at 7:30 p.m.
Friday, September 27, 2019 at 7:30 p.m.
Sunday, September 29, 2019 at 2:00 p.m. The great screwball comedies such as It Happened One Night owe much to Mozart and his librettist Gottlieb Stephanie. While the feisty heroines Konstanze and Blonde endure forced labor in the Pasha’s swanky nightclub, their sweethearts Belmonte and Pedrillo hatch an elaborate plan to rescue them. Hilarity ensues, including disguises, misplaced affection, ladders, and sleeping potions. The quartet is captured during escape and sentenced to death – but the Pasha surprises everyone in the heartwarming finale. Saturday, November 9, 2019 at 7:30 p.m.
Wednesday, November 13, 2019 at 7:30 p.m.
Friday, November 15, 2019 at 7:30 p.m.
Sunday, November 17, 2019 at 2:00 p.m.
La bohème has often been described as the work that converts the “opera-curious” to “opera-lover.” Puccini’s incandescent melodies, lush score, and a plot centered around young love and starving artists in Paris have proved to be an intoxicating combination for the romantic in all of us. We love the bright bohemian rhapsodies set against the tragic inevitability of Mimì’s illness, and like Rodolfo and Mimì, we wait for spring and the rekindling of romance. Two new Kansas City favorites lead Lyric Opera’s beguiling traditional production: Raquel González as Mimì and Georgy Vasiliev as Rodolfo. 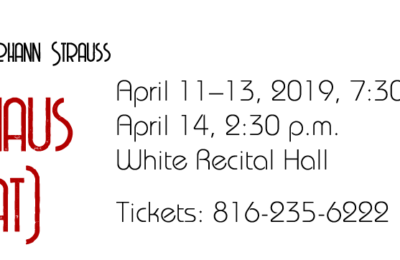 La bohème is sponsored by Mr. & Mrs. C. Humbert Tinsman, Jr.
Saturday, March 7, 2020 at 7:30 p.m.
Wednesday, March 11, 2020 at 7:30 p.m.
Friday, March 13, 2020 at 7:30 p.m.
Sunday, March 15, 2020 at 2:00 p.m.
Saturday, April 25, 2020 at 7:30 p.m.
Wednesday, April 29, 2020 at 7:30 p.m.
Friday, May 1, 2020 at 7:30 p.m.
Sunday, May 3, 2020 at 2:00 p.m. Lyric Opera closes the 2019-20 season with the second-ever production of The Shining. Based on Stephen King’s 1977 novel, the opera begins as a desperate search for financial and marital sanctuary, but turns into a terrifying struggle for sanity and survival. While Jack Torrance faces his past and present demons, he ultimately turns into a monster – as his young son with a sixth sense endures a house of horrors. Room 217 awaits. The Shining is sponsored by the Hall Family Foundation. Subscribers have access to the best seats at the best prices, with savings of up to 44% over single ticket prices. They also receive the first opportunity either to keep their original seats or to secure new seats before the general public. Subscribers to the 2018-19 season will receive subscription renewal information beginning the week of February 11, 2019 and will have until May 10, 2019 to renew or improve their current subscription and seat locations. Reservations for new subscriptions will go on sale to the general public at the same time. Renewing subscribers receive priority seating. Single tickets will go on sale to the general public on Monday, July 15, 2019, with Subscriber Courtesy Week July 8 – 13, when subscribers can purchase additional single tickets to any show for 25% off. Season ticket packages range from $81 to $516. For ticket information, visit the Lyric Opera website or contact Lyric Opera Ticketing & Patron Services at (816) 471-7344. Lyric Opera of Kansas City is committed to making opera accessible to all groups by providing great discounts and special services to group ticketholders. Plus, orders of 10 or more seats receive up to a 25% off discount. Lyric Opera of Kansas City is happy to accommodate groups of all sizes, with added perks like FREE seats for event organizers, pre-opera entertainment, and dining discounts. Groups can start reserving tickets July 8. For more information about group ticket services and discounts, contact Ashley Benes at (816) 802-6078 or abenes@kcopera.org. Lyric Opera of Kansas City’s Education and Outreach programs open the world of opera to people of all ages. We engage the opera lovers of tomorrow through exciting in-school programming as well as Spring Break and Summer Opera Camps. The Ginger Frost High School Honors Artists Program gives talented high school singers the opportunity to study their dream roles and audition for professionals. And patrons of all ages can enhance their opera experience with community events such as At Ease with Opera, Explore the Score, First Fridays, and more. Audience members are invited and encouraged to attend a FREE opera preview, presented by the Lyric Opera Guild, in the Muriel Kauffman Theatre within the Kauffman Center one hour before curtain. The Kansas City Lyric Opera Guild continues its lecture and preview series to explore each mainstage opera of the season. Join us for these FREE one-hour presentations, located at the Kauffman Foundation at 4801 Rockhill Rd, Kansas City, MO 64110. Members of the creative team will take us on a guided tour of the score of each mainstage production at the Lyric Opera’s Michael & Ginger Frost Production Arts Building, 712 E 18th St., Kansas City, MO 64108. See kcopera.org for more details. Lyric Opera of Kansas City joins other Crossroads-area businesses in opening their doors for free community events on selected dates from 5-8 p.m., in the Beth Ingram Administration Building (1725 Holmes, KCMO). Attendees enjoy preview performances of Lyric Opera’s mainstage productions by Lyric Opera Resident Artists and Apprentice Artists, as well as free drinks and snacks. The event is FREE and open to everyone. More information is available at kcopera.org. Young Friends of The Lyric provides an exciting outlet for young arts supporters (ages 21 and up) in Kansas City to get involved in the community, meet other young professionals and support Lyric Opera of Kansas City. Membership benefits include complimentary beverages at Lyric Opera performances, networking opportunities, restaurant discounts, invitations to special events and more. Young Friends of the Lyric membership is $40, and includes benefits for 2 for a full 12 months. To join, visit kcopera.org/yfl or contact Ticketing & Patron Services at 816-471-7344. Become a fan on Facebook @YoungFriendsLyric to keep up with current events. 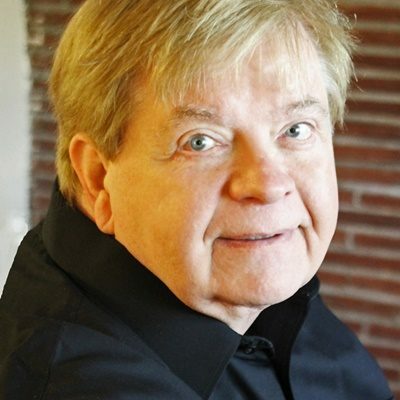 The Lyric Opera Guild is a social and networking group of men and women who attend the Lyric Opera of Kansas City and enjoy the camaraderie of others who share their interest in Opera. For those who love opera, are new to opera, or want to know more about opera, the Guild is the perfect place. Throughout the year, Guild members participate in social and educational activities designed to expand friendships and knowledge of opera. Memberships are currently available online. Click here for a complete description of Guild Membership levels and benefits. For questions call Ticketing & Patron Services at (816) 471-7344. Lyric Opera of Kansas City was founded in 1958; it is one of the nation’s premiere regional opera companies and brings high-quality live operatic performances to the people of the Kansas City area and a five-state region. Repertoire choices encompass original-language performances of standard repertory as well as contemporary and American works. The Company mounts productions that enrich the community it serves, as well as reflect the highest artistic standards of the profession. Lyric Opera offers innovative and award-winning programs designed to further music and arts education both in schools and in the community, and serves more than 18,000 students and educators each year. Opera lovers can be fans of Lyric Opera of Kansas City on Facebook or follow us on Twitter at @kcopera or on Instagram @kcopera.